Gibney-Sims Flowers was started by the Gibney family on New London Gravel Road and moved to its current location, at 4001 Market Street in Hannibal, Missouri, during the 1940's. The shop stayed in the Gibney family until 1969 when it was sold to the Sims family and the name changed to Gibney-Sims Flowers. The shop has had two other names since the Sims first owned it, and was changed back to Gibney-Sims Flowers in 1994 when members of the Sims family became the owners once again. Now under the ownership of Amber and Mike Baxter, we look forward to serving you. We offer a full line of fresh and silk arrangements, designed with care by our professional staff. We also carry a variety of baskets, Russ bears, and balloons to accompany your floral selection. We also offer a variety of gourmet and gift baskets, and handmade candy from historic downtown Hannibal. With friendly delivery to Hannibal and the surrounding area six days a week, and service to local funeral homes seven days a week, we want to be your florist. Come in and visit, call, or order now. 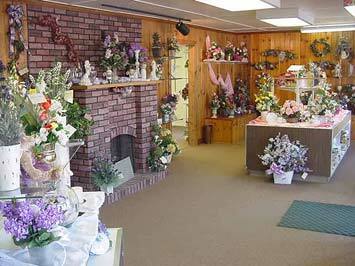 We are "the friendly florist with the extra flair." *Our shop is open from 8:00 a.m. to 5:00 p.m., Monday through Friday, and 8:00 a.m. to noon on Saturday. Our shop serves the following areas in Illinois: Hull. in Missouri: Center, Hannibal, New London and Palmyra. If you have any questions or need more information, please contact us by email at amber@gibneysimsflowers.com or by calling us directly at (573)221-0370. We're always here to serve you and make your flower-sending experience a pleasure.